ast year, I interviewed a woman named Cheryl Taylor. The 63-year-old wore pink bunny ears on top of her head. 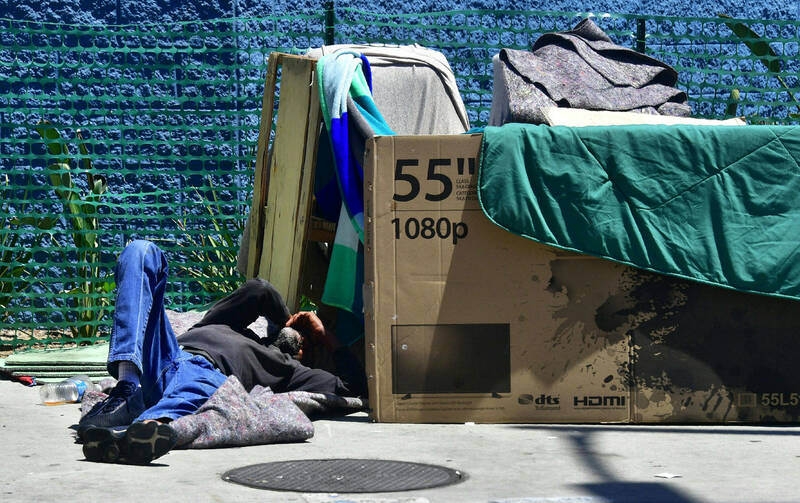 She was living on a San Diego sidewalk after being evicted from her home. She said the people living in the luxury high-rise across the street didn’t know her story. They’d never asked. 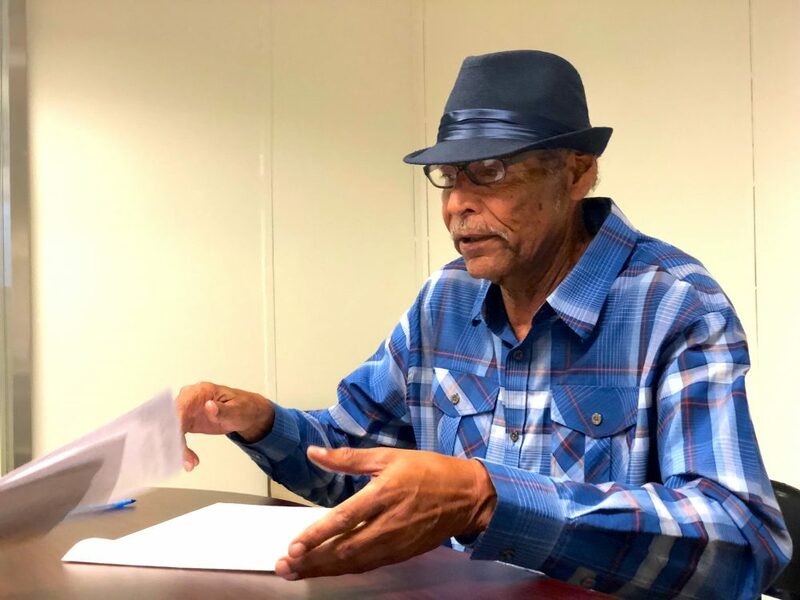 I know a lot of Californians worry about homeless people in their neighborhoods creating health risks, committing crimes and driving down property values. I also know countless people in the state toil endlessly to help the homeless — shelter workers, advocates, police officers, paramedics, regular citizens and politicians. And I know many people living on California’s streets feel hurt, dejected, invisible and excluded by the rest of society. “If you look at the parts of the brain that are activated when we feel pain or internal distress or sadness or even surprise, the same regions in the brain are also activated, at least they overlap, with regions that are activated when we see pain or surprise in another,” Mobley said. I told him about Kaye, who wanted only her first name used. She’s an elderly woman I recently met in Santa Monica. She’d been living on a $1,000 Social Security check each month. When the city started giving her a little money to cover her rent, she was overjoyed because the extra money meant she could help the homeless man across the street. I asked Mobley Chad Bordes’ question: Why does it seem that so many folks lack empathy? Talking about empathy can awaken it, too. 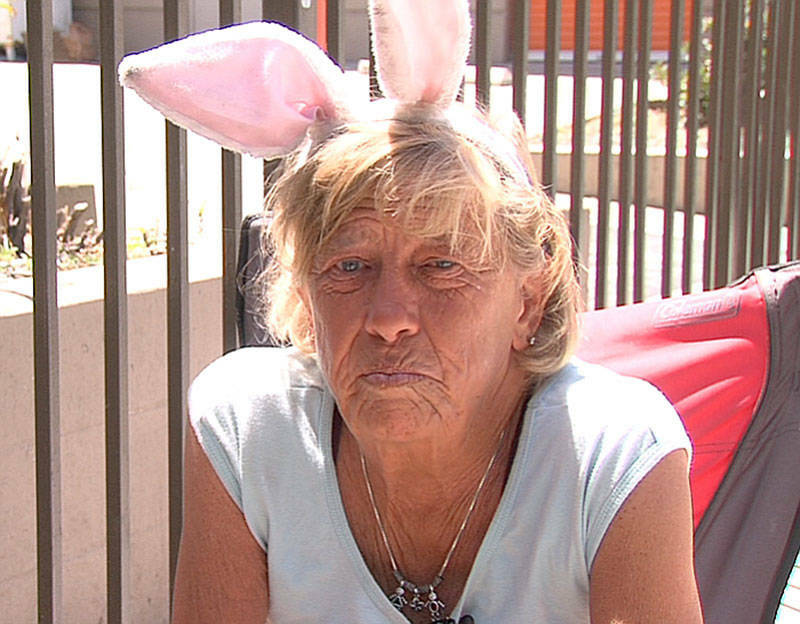 Remember the woman with the bunny ears, Cheryl Taylor, whose address was San Diego’s streets? She said she wore those pink bunny ears to make people smile.